Strategic Planning for an Amazing Business Life! Enjoy unlimited business success - THE EASY WAY! Do you find yourself getting bogged down by minor details? Need a way to work where you can see the bigger picture? This remarkable subliminal audio recording will quickly and easily help you think clearly and plan confidently for the future. The Strategic Planning for an Amazing Business Life! 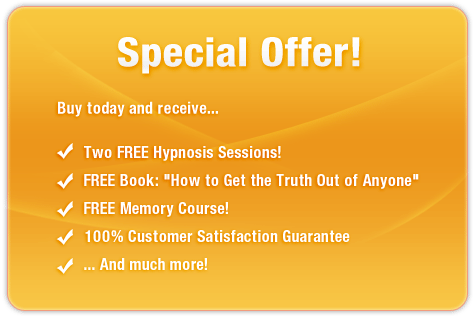 session uses the latest in subliminal messaging technology to deliver thousands of powerful, positive, life-changing messages directly to your subconscious - allowing you to unlock the business guru within! And it?s 100% risk-free! If you?re not completely satisfied with your improved planning abilities, let us know within 90 days and we?ll refund your order in full. Don?t let your business falter! 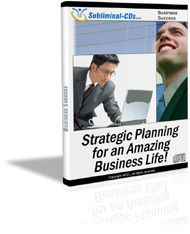 Purchase Strategic Planning for an Amazing Business Life! TODAY and enjoy better business prospects straight away!